When it comes to a good friend there are certain qualities that stand out for being better than others. 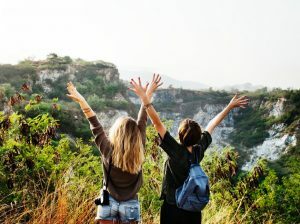 While there are lots of different qualities that a person can have which you appreciate, there are certain personality traits which function better than others in order to sustain a friendship for the long haul. Sometimes you may appreciate someone and have a good time with them, however, there is a difference between enjoying someone, and truly feeling a deep sense of friendship and lasting bond. When it comes to what qualities make up the best kind of friend, here are the ones that stand out most. It’s important to have friends around you who you know will be there at your darkest hour and help you out if you need it. If you need a meal to eat, a hand to hold, or even just someone to listen. There can be times in life when you are forced to call upon the help of others which can be humbling. You may not be able to pay your debts, or need someone to hug you as you weep. This is when a friend steps in and shows you the act of generosity. Generosity doesn’t just come in the form of material sharing. It means giving whatever it takes to show that you support and are there for your friend in need. A real friend will put it all out on the table and tell you the truth. This means that you won’t have to worry about them concealing things or playing two sides. When you build a true bond with someone then you are creating a bond that says that you trust them and what they say. This way you know exactly who you’re dealing with. When people aren’t honest, then there is no opportunity for growth. When you have a friend who tells you the truth gently even when it’s hard to hear, you know that you’ve found a true companion. A real friend stands by your side no matter what choices you make whether they agree with them or not. They do not judge you or ostracize you if your choices don’t align with their own. This is the true definition of love. Accepting and supporting those we care about even if we don’t necessarily agree. It’s important to have a friend who you know will be there when you expect them to be. Knowing that they will arrive on time or be present for their commitments speaks volumes about how much you trust them. A friend who is dependable and reliable will not only bring out the best in your friendship but also the best out in you.